There are a few things you can do to make a compelling short sale offer, such as trying to be the first offer and writing a clean offer. But the truth is you can follow all the right short sale offer tips and still get rejected. That's because there's one important factor to consider that is often overlooked. There are more parties to a short sale—the sale of a home that results in the lender receiving less money than it is owed—than the buyer and the seller. There are also the listing agent and that lender. Do not forget about them. As far as the seller goes, you can offer them a generous number of days to move out, and that will certainly strengthen your offer. Beyond that, there's not much you can do to motivate the seller to accept your offer over others; you're not allowed to sweeten the pot financially in a short sale. That's because the bank's arm's length agreement prohibits incentives or secret agreements between the buyer and seller, particularly with an eye toward preventing the seller from short selling his home to a friend or relative. You also can't really have any influence over the lender. The bank is going to do what it feels is in its best financial interest. Period. But you can influence another party in a short sale who is too often overlooked: the listing agent. Sellers will look to their agent for advice on which offer to accept. If all of the offers are similar to each other, there is one thing you can do to stand apart. Make the listing agent's job go smoothly. No drama. No complications. Short sale listing agents want one thing, and that is to close the deal. Closing the deal takes a committed buyer, preferably one who is educated about and comfortable with the short sale process. Promise not to call every week asking for updates. This is huge because it's time-consuming for an agent to have to stop her daily workflow and respond to a buyer's agent who asks for an update. Tell the listing agent you will assume she will call you when she gets the approval letter from the bank and you won't be bothering her with unnecessary calls or emails. Tell the listing agent you have explained the short sale process to the buyer. The listing agent will be happy to know she's working with a responsible buyer's agent and a knowledgeable buyer. Completing a short sale can be exhausting. Knowing she won't have to answer questions from the buyer or his agent about the process will make the listing agent very happy. Say the buyer is willing to wait up to six months for short sale approval if it becomes necessary. No listing agent wants to find that after three months of work on the short sale, the buyer has bailed. She doesn't want to have to sell the home again and again. Once is enough. Commit to releasing the earnest money deposit to escrow upon the seller's acceptance. 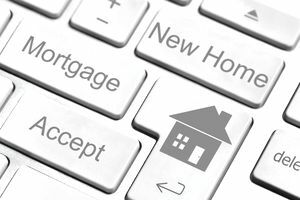 A buyer who has put down a good-faith deposit that will become part of a down payment is more likely to be committed to the deal and to wait for approval than a buyer who refuses to release a deposit. It speaks volumes about the character of the buyer. Say the buyer will work with the bank if further demands are made. You never really know for certain what a lender will do in a short sale. The bank might ask for more money. The bank might not authorize payment of a fee. The second lender could require a larger contribution. A buyer who is willing to be flexible and work with the lender or lenders, if needed, is a buyer the lending agent will favor. In short, you're telling the listing agent: "You know all of those horrible things that happen with buyers in a short sale that make your life miserable? If you pick my short sale offer, none of those awful things will happen to you." Who can resist that logic? Can a Buyer Moving in Before Closing Cause Problems?